Since we shop at the Swansea store every Saturday night, we've become accustomed to the food items they carry. Well on yesterday's visit, to our surprise, we spotted a display of Betty Crocker Warm Delights. 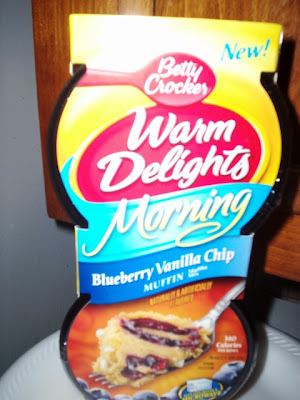 It was from their new "Morning" line, and the featured item was a blueberry vanilla chip muffin two pack. Sounds delicious, and for only a dollar, Mom and I felt that we couldn't go wrong. Or could we? 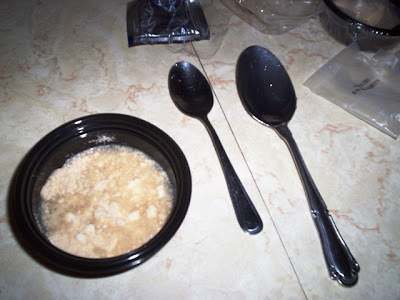 1) Empty muffin mix into bowl, and stir in one tablespoon AND one teaspoon of water carefully until well mixed. 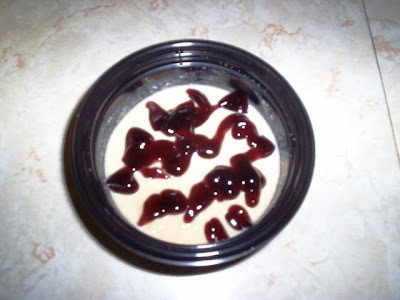 2) Squeeze blueberry pouch 10 times (to mix it within its bag) and cut off corner of pouch at "cut" line. 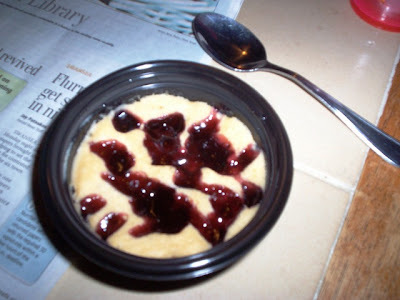 Then squeeze four to six lines of blueberry over batter. 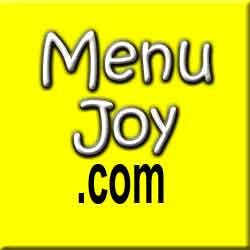 3) Microwave uncovered on high for 25 seconds or until most of the surface looks dry. If necessary, microwave 10 seconds longer (and yes, I had to leave it in longer). After letting the muffins stand for two minutes (I did each one individually, but you can do them together at 45 seconds), Mom and I tried them. At only 140 calories per bowl, this breakfast-on-the-go would be perfect to take to work with a piece of fruit for a nice, filling meal. Although neither of us tasted the vanilla chip, the overwhelming blueberry flavor was very tasty. The muffin was thin, but came out very soft and moist. Mom and I will definitely be looking for other flavors the next time we hit up the Dollar Tree.